Your face is the window to your identity, creating an instant impression with friends, co-workers, family, and everyone else you encounter in your day-to-day life. If some aspect of your facial appearance makes you feel less like yourself, it can be very unnerving and uncomfortable. honesty, respect, & exceptional care. 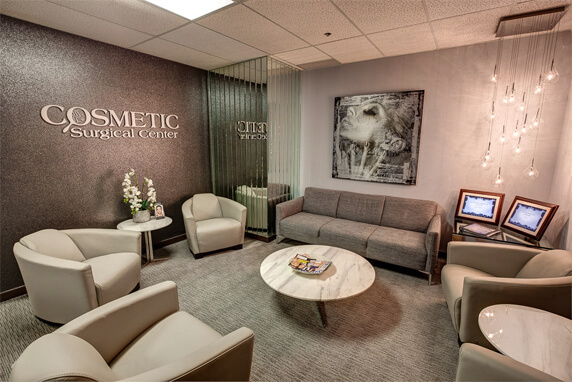 At The Cosmetic Surgical Center in Dallas, our mission is to provide you with the best possible results from your plastic surgery procedure, and to do so safely, conveniently, and affordably. We are delighted to welcome new and returning patients and provide you with the information you need to have a successful surgical experience with Dr. Rai. Whether you are striving for a conservative or head turning change to your face, breasts, or body, Dr. Rai’s many years of experience allow him the skill and expertise necessary to meet your cosmetic goals. 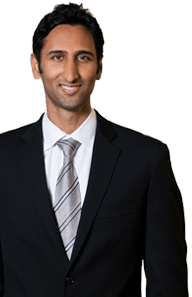 Dr. Surjit Rai is board certified by the American Board of Plastic Surgery. He considers it a privilege to work with patients to achieve their aesthetic goals. Utilizing his extensive surgical training and expansive plastic surgery knowledge he assists patients in realizing those goals whether that be through surgical procedures or non-surgical techniques. Facial plastic surgery is complex, requiring meticulous care, skill, and experience in order to achieve the best possible results. In his 30+ years of practice, board-certified plastic surgeon Dr. Rai has performed over 25,000 cosmetic surgeries for patients throughout the Dallas and Fort Worth area. Breast surgery can address a wide variety of problems with the size, shape, and overall appearance of your breasts. People have many different reasons for seeking out different breast surgery procedures. Although some women are simply looking to increase the size of their breasts, others may actually want them smaller to avoid back and neck pain, while still others are looking to fix sagging breasts that have lost their volume (termed “breast ptosis”). If you are dissatisfied with certain areas of your body or have struggled with stubborn fat deposits and excess skin and tissue that seem to be resistant to exercise and diet, these procedures may be right for you. "I had been struggling with gynecomastia for a number of years, and finally decided to move forward with getting my breast reduction surgery done. Prior to selecting the cosmetic surgical center, I researched different surgeons and performed a number of consultations before choosing Dr. Surjit Rai. From the initial consulting appointment, Dr. Rai made me feel like part of the family and made every effort to discuss all the details concerning my surgical process, recovery phase and was more than happy to answer any questions I had regarding this procedure. He spared no expense making sure I was very comfortable and knowledgeable about every aspect regarding the surgery, which gave me a huge sense of relief considering this was my first time under the knife. The procedure was painless and easy...."
"Seven months ago, Dr. Rai did a full tummy tuck and lipo suction on my flanks. I am very pleased with my results. I was referred to Dr. Rai by my OBGYN oncologist. In April of 2016, I was experiencing intense abdominal pain, and was referred to an OBGYN oncologist. He found a large mass on my left ovary, and cysts on my right ovary. Due to the size of the mass, I was told I was going to need laparoscopic surgery to have both ovaries removed. I was also told that I could possibly have cancer. I immediately got scared. My doctor explained the procedure, and advised that I would have a vertical incision. I was not interested in having an upside down T on my stomach, because of multiple C-sections, and so he referred me to Dr. Rai in July of 2016. Dr. Rai and his staff were very helpful and answered all of my questions, during the consultation. They even answered all of husband questions..."
Our staff offers personalized assistance. Our phones are always answered by one of our staff during office hours and we offer convenient email communication for your privacy. Ask about appointments, pricing, or post-operative care while you are at work or around friends and still keep it confidential!